Primal looks the fricking best. So glad he won the poll. 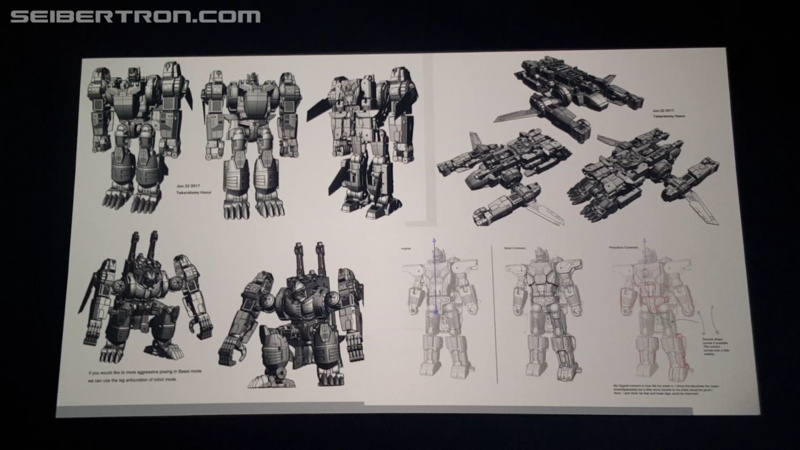 But i hope we can get star saber or deathsaurus. Now can we get a Primal Prime / Apelinq repaint? Someone help! I’m throwing my money at the screen and nothing is happening! Definitely gonna get that Tailgate when I find him. I was wrong. Bludgeon doesn\'t get a canon. He gets a cathedral. Out of this batch, Primal definitely looks the best. Predaking is nice but I\'m sorely disappointed by how geewun the Predacons themselves are, was hoping for more modern depictions and not the return of Razorcuddles. Bludgeon transforms into something which can bludgeon someone? There's irony in there somewhere. Note the boxart for Bludgeon in the background. That's great. I assumed he was a bludgeon. Poor Big Bot. He deserves so much better than this. Predaking has issues. Specifically, the stickers make him look cheap as poop, the crotch elbows are just blatantly lazy outdated design that was barely acceptable on the smaller, budget combiner wars figures and the wings are the shrimpiest, cheapest, trashiest looking trash I\'ve ever seen on an official product. Also, I don\'t MIND the total cheat pelvis piece, but if you\'re going to do it, at least make it look good. This makes me sad. I was looking forward to this guy. I\'m a big fan of devy, but devy at least looks like somebody was trying. Preddy looks slapped together in about 5 minutes using as little imagination as possible. This 100% describes how I feel right now. Swords couldn't make it into the Predaking budget I see. I guess I can just wait for Takara to include it with their rele-oh wait. Divebomb is missing a head isn't he. carnerd3000 "This is bad comedy." Looks good overall. Predaking could be better but I think he's still okay. 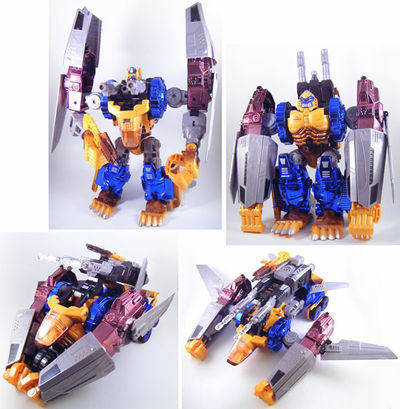 The animal modes on the Predacons are definitely clunky as hell, though.